The holding extends over 5 hectares, facing south/south-west of the hill, 500-600 meters above sea level. Every vineyard has a beautiful panoramic location on the hills of ‘Alta Langa’, where the love for the countryside and the tradition is deep-rooted in people who are born and raised there. It is said that not so far ago the majority of the lands surrounding Albaretto Torre were vineyards, however, from the mid 50s most of the plantations were replaced by hazel groves. 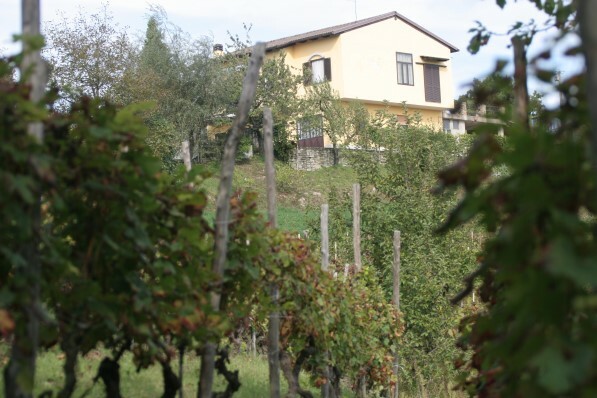 The elderly remember nostalgically about the Dolcetto wine that everybody, in our small village, produced for his family; a full-bodied wine, smooth and fragrant that you can drink throughout your meal. 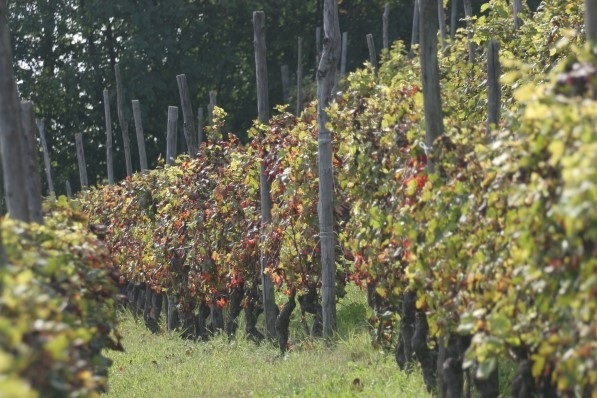 Danilo’s goal is exactly to produce a genuine wine from other times, absolutely not manipulated, that reflects the lands in which his vineyards grow. 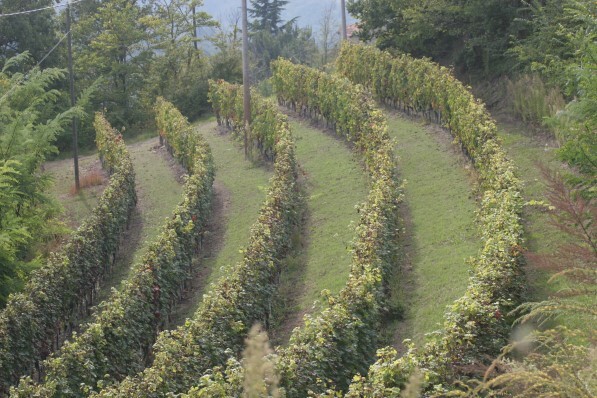 That is why most of the vineyards, all recently planted, are under Dolcetto or Barbera vines. The high temperature range between day and night, typical of our hills, adds a peerless taste and scent to the grapes. Working since he was young his farmland, Danilo has a unique experience: he knows his vineyards and how to work them with care. Through his life he learned and refined the techniques to keep the vineyards healthy respecting both the tradition and the quality of the final product. The result is Dolcetto wine; a wine that is the expression of a territory that the passage in the winery has not affected in its characteristics.